We Provide weekly 8 hour safety course classes, Drug and Alcohol course also called the CS-1 course. We Provide car for the road test. We Provide Driving lessons and on-road training to the new drivers and teens. We are the best in the city and provide the best prices. We offer special packages with discounted rates. We offer weekly CUSTOMIZED classes for student convenience. 8 Hour Safety TWO DAY Course ONLY $89 (when you pre-pay!) (Regular Price - $150! YOU SAVE $61)! Students who WALK-IN and make the payment on the SAME day as their class will pay $99 for the course. Customized 8 Hour Safety Course Only $89 (Must Prepay & Call to Schedule)! . Teenagers NOW ONLY $89! (When you pre-pay for your class!) Call to Schedule!. CALL 203-374-2271 TODAY or schedule an appointment ONLINE simply e-mail KHAN@MAJORDRIVING.COM! See below for Schedule! Hold a valid Driver’s License from another country. Schedule a Knowledge Test with the DMV. Study for the Knowledge Test. Hold your Permit for a minimum of 90 days while driving with a licensed instructor or driver over 20-years-old who has held a license for at least four years. Complete the 8-Hour Safe Driving Class and receive a CS-1 Certificate required for taking the Road Test. TEXT 203-543-8283 your FULL name, date of birth, & class dates you wish to attend. Payment can be made online via PayPal or in our office. OR you can send an E-MAIL to khan@majordriving.com with your FULL name, date of birth, phone number, & class dates you wish to attend. Payment can be made online via PayPal or in our office. Scroll down for a complete list of PRICES and CLASS DATES, then send us an E-MAIL or TEXT! WE WILL PROVIDE YOU A CONFIRMATION. Teens must call our office to confirm class dates! *Our PARENT CLASSES FOR TEEN STUDENTS ARE DETERMINED UPON REGISTRATION. All classes, including PARENT classes, are determined by how many students confirm their attendance for the class. *In case of losing an original 8 Hours CS1 Certificate, you may obtain a Duplicate Certificate for a fee of $35 if you are in our records. Make an Appointment to Reserve Your Seat. WALK-INS are welcomed but subject to seat availability! Call Today to Schedule your Class! There is a $3 processing fee for payments made via PayPal. ***For all other DMV location pricing, please call our office. 8 Hour Course for ADULTS 18yrs+ : ONLY $89 (WHEN YOU PRE-PAY) or ONLY $99 if payment is made on the SAME day as the class. 8 Hour Course for TEENS (16 & 17 yrs) : NOW ONLY $89 (WHEN YOU PRE-PAY) or ONLY $99 if payment is made on the SAME day as the class. IMPORTANT! MAJOR DRIVING SCHOOL POLICIES. MUST READ! Major Driving School has a strict NO REFUND policy. NO EXCEPTIONS. Coupons cannot be combined with other special offers. ANY SPECIALS PURCHASED WITH A CREDIT OR DEBIT CARD WILL BE CHARGED A $3-$5 PROCESSING FEE. All 8-Hour Drug and Alcohol Classes and Driving Lessons must be rescheduled at least 48 hours in advance. Without 48 hour notification the student will be charged a NO SHOW FEE of $25. The student must complete all driving lessons within a 6-month period starting from the date they register for their driving lessons. MDS will not be obligated or responsible for providing any remaining driving lessons after the student has failed to complete all the lessons before scheduling the driving/road test with DMV. All driving lessons and DMV tests must be completed within six months of registration. All classes, including teen classes, are determined by how many students confirm their attendance for the class. If we have less than 5 students in a class, MDS reserves the right to reschedule the class. Our normal business hours are Tuesday- Friday 10am-5pm. Saturday DMV tests will have an additional charge of $25, as they are outside of our normal business operation hours. 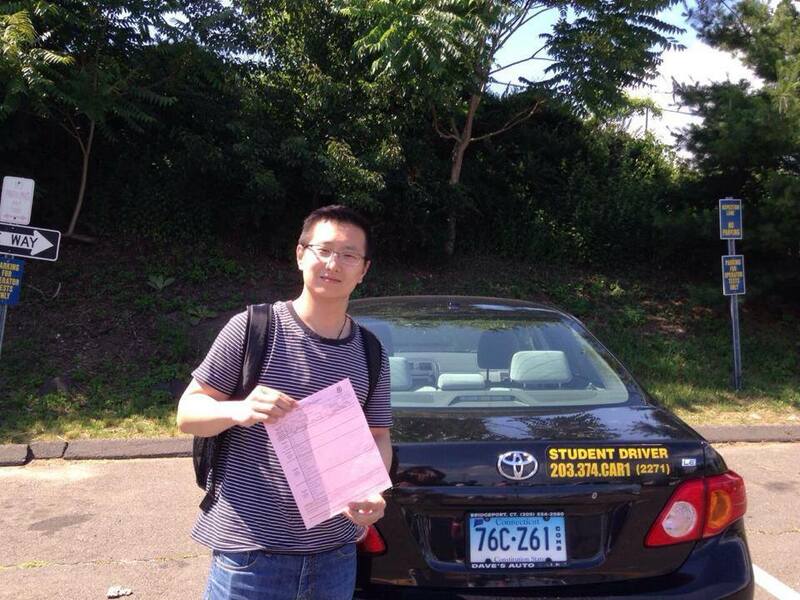 All students are required to meet the driving instructor at the DMV for road tests, and at the Bridgeport or Stamford office for driving lessons.No pick up or drop off for driving lessons. ONLY BPT DMV ROAD TEST PRICES shown on website. For all other DMVs student must call our office for pricing. WE ACCEPT WALK INS, HOWEVER, IN CASE A CLASS IS CANCELLED WE WILL NOT BE ABLE TO NOTIFY YOU. FOR THIS REASON, PLEASE MAKE AN APPOINTMENT SO WE HAVE ALL YOUR CONTACT INFORMATION. Reviewing MDS policies is the sole responsibility of the student, whether registration is completed in our office, via email or telephone. For clarification or any questions concerning the above mentioned, please call (203)-374-2271.